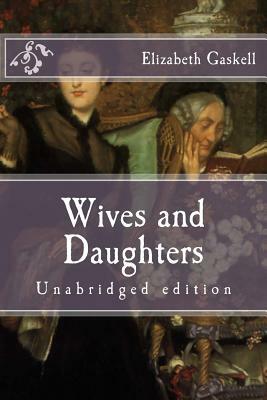 Wives and Daughters (1866) is widely considered Elizabeth Gaskell's masterpiece and in one of her most popular novels. Unfortunately, she died suddenly in 1865 and never wrote the final chapter of the novel, so it is in a sense unfinished. However, she left advice as to how the novel should end and thus Frederick Greenwood, editor of the Cornhill Magazine where it was first published as a serial, made a write-up explaining the ending as intended by Mrs. Gaskell, which has been included in this unabridged edition. Set in an English village before the 1832 Reform Bill, Wives and Daughters centres on the story of youthful Molly Gibson, brought up from childhood by her father. When he remarries, a new stepsister enters Molly's quiet life - loveable, but worldly and troubling, Cynthia. The narrative traces the development of the two girls into womanhood within the gossiping and watchful society of Hollingford. Wives and Daughters is far more than a merely a nostalgic evocation of village life; it offers a biting ironic critique and at times a devastating rejection of mid-Victorian society like no other nineteenth-centaury novel. It has been adapted into a TV-series twice. Elizabeth Cleghorn Gaskell (1810-1865) was a English novelist and short story writer during the Victorian era. Her novels offer a detailed portrait of the lives of many strata of society, including the very poor, and are of interest to social historians as well as lovers of literature. Gaskell was also the first to write a biography of Charlotte Bronte, The Life of Charlotte Bronte, which was published in 1857. Her works include the novels Mary Barton (1848), Cranford (1851-53), Ruth (1853), North and South (1854-55), Sylvia's Lovers (1863) and Wives and Daughters: An Everyday Story (1865).